It’s easy to add a rainbow burst of color to your home without going totally over-the-top. 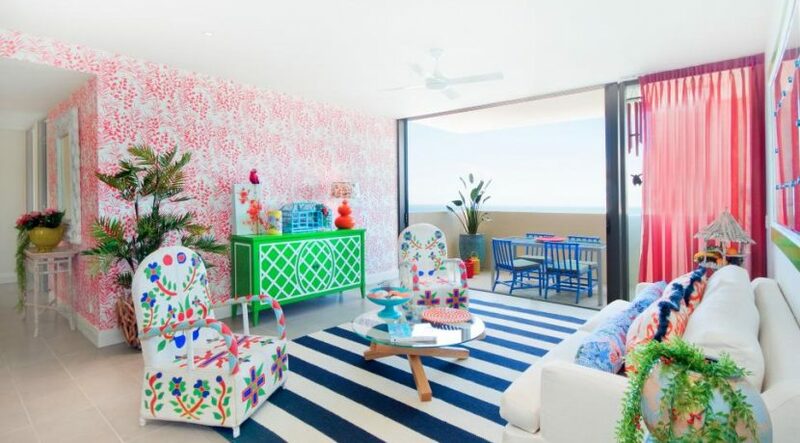 Just look for artwork, accents like pillows and colorful vases or furniture in juicy brights to get this look. Here a large window in white fills the living room with ample light and reflects off the black walls. 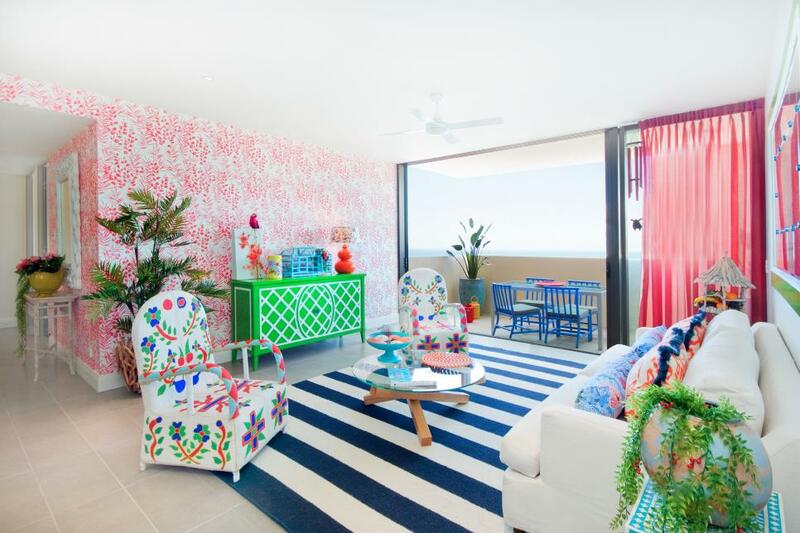 Colorful art and furnishings help brighten and liven up this room. Glossy black subway tile and a patterned gray tile floor balance out the bold, colorful graffiti design on the breakfast nook dining furniture in this punchy space. In the great room, faux deer heads painted every shade of the rainbow inject a dose of whimsy and surprise. Inspired by the Caribbean Carnivale, this scheme was all about pushing the boundaries of bright saturated color. Hand-beaded chairs with an abundance of bright patterned fabrics and wallpaper, unite to make this space exciting and unique. A chunky, flower-shaped table provides seating for six in this dining room. A chartreuse lamp and multicolor pendant light bring in splashes of color to the design. Vibrant artwork makes this dining room a memorable and cheerful space, adding to the stunning aesthetic.